Lisa Thal has been in media sales and management since 1987. She is currently a General Sales Manager at WKRQ in Cincinnati owned by Hubbard Media, where she has the privilege of coaching talented sales leaders. In addition to working in management, she is a certified life coach. Her 2015 book, Why I Chose You, is an inspirational guide that helps readers find clarity by understanding why they’ve chosen certain people and relationships in their lives. Lisa has succeeded in her personal and professional life by applying the principles in both books and will coach leaders how to do the same. 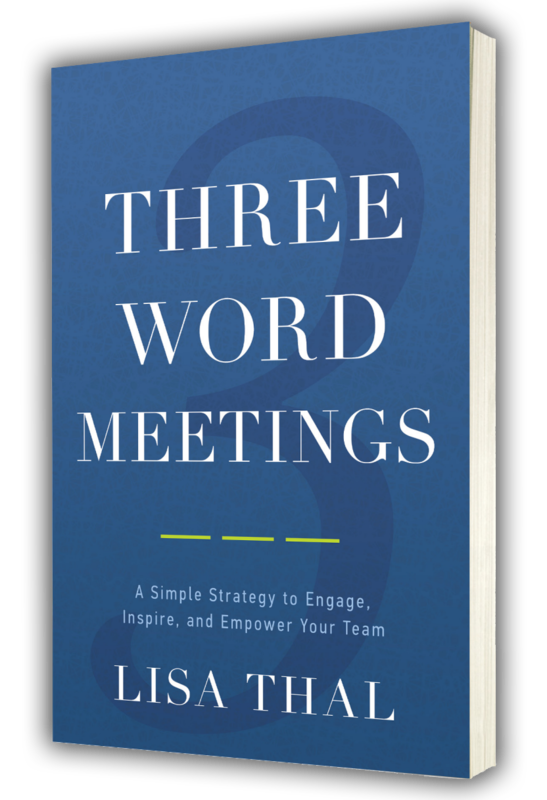 Three word meetings provides you with fifty three 3 word topics to lead your team. It’s guaranteed to engage and inspire your team on a consistent basis. You will learn how using three words will motivate your team and have them implementing that with their clients. Imagine creating powerful sales meetings that has a lasting impression on your team.